Deep Views Blogger Template is a 100% responsive clean, stylish, modern, fresh blogger templates. It’s created by using HTML5/CSS3. 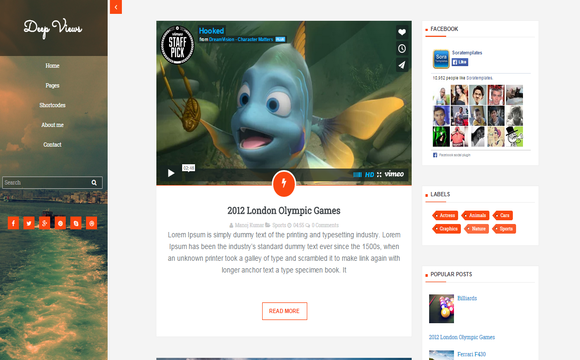 Deep Views Blogger Template is perfect choice for blog, news, magazine, entertainment and portfolio. Deep Views Blogger Template is really simple to use and manage. It’s created with great features. All in all, it’s help you to make a high user experience flexible website.